Migrants often mistakenly overlook many important factors when preparing and submitting entry applications for their children and are often disappointed when applications are refused. Furthermore, applicants with children over the age of 18 that are dependent on the applicant face tough decisions under the UK immigration rules. The applicant will in most cases need to arrange for their ‘adult’ child to enter the UK under an alternative immigration route. In contrast, the EEA Regulations are more lenient with respect to the age at which children are considered “a dependant”. European law permits children up to the age of 21 to accompany or join family members in the UK. However, in both cases (i.e. under both UK and European law) children who are not financially dependent on their parents and are leading independent lives, are married or have formed an independent family unit will not be considered a ‘dependant child’. There are also further issues which need to be addressed in situations where children have parents who are separated, divorced and/or share custody of the children. In such situations the migrant coming to the UK must show they have had ‘sole responsibility’ for the child’s upbringing and such applications often fail owing to sole responsibility not being shown to the Entry Clearance Officer’s satisfaction. It is therefore recommended that applicants seek immigration advice to ensure the application is properly presented. We at Imperial Visas have extensive experience in handling applications for clearance on a UK child dependant visa. One parent or the relevant relative must be present and settled in the UK or applying to be admitted on the same occasion for settlement, and there are serious and compelling family or other considerations which make exclusion of the child undesirable, and suitable arrangements have been made for the child’s care. (ii) The child should be under 18 years of age and not leading an independent life, nor be married and have formed an independent family unit. If any of the relevant requirements are not shown to be met the child dependant visa application for Indefinite Leave to Enter will be refused. The rule of sole responsibility is observed strictly and any involvement of the other parent in the upbringing of the child may lead to the conclusion that the sponsoring parent does not have sole responsibility for the child, or have responsibility for the major decisions in the child’s life. It is possible that even having regular contact with the other parent can serve as an indication that the sponsoring parent does not have sole responsibility and this may lead to an adverse decision on child dependant visa application. Entry Clearance Officers often seem to wrongly employ an ‘all-or-nothing’ approach to the issue of sole responsibility and we strongly recommend that you approach accredited immigration advisers such as Imperial Visas in relation to problematic applications. Most long-term category visas under the UK Immigration Rules permit individuals to apply to bring their dependants with them (or to join them) in the UK, which would include children under the age of 18 years. The children are normally given the same period of limited leave to remain as their parents have and will be expected to apply for an extension in line with any extension application the parent makes. There are some cases when children under the age of 18 who have entered the UK as dependants of their parents eventually do become 18. These children, whilst still holding valid limited leave to remain as a dependant are still considered to be dependent and can apply for an extension/indefinite leave to remain in line with their parents, even after the age of 18, provided they still form part of the parent(s)’ household. Children who hold a UK child dependant visa are given full right of access to state schooling and access to the NHS. However they are unable to seek assistance from UK public funds. The same rules concerning sole responsibility apply to the applications of dependant children of individuals with limited leave to remain. Please note there are specified maintenance requirements for the dependant children of Points-Based System migrants. The children of EEA nationals exercising Treaty Rights in the UK are permitted to join their parents in the UK up until the age of 21. To successfully gain a UK child dependant visa, they are required to comply with the same requirements with regards to not being married or having formed an independent family unit and being financially dependent. In addition, a child dependant visa application for entry clearance to the UK will also mean that the applicants will be required to meet the requirements similar to those under the UK Immigration Rules as the child of a person present and settled in the UK. The child applying to join their parent(s) (if not an EEA national themselves), can apply to enter the UK on a Family Permit which is valid for six months. Once in the UK the child will need to apply to gain their continued right of residence in the UK by submitting an application for a residence card. Once the child has been residing in the UK together with the sponsoring parent(s) for five years, the child is eligible for permanent residence in the UK. The main differences between the UK Immigration Rules and the EEA regulations are the age requirement for ‘dependant’ children and the type of ‘visa’ document they are issued. 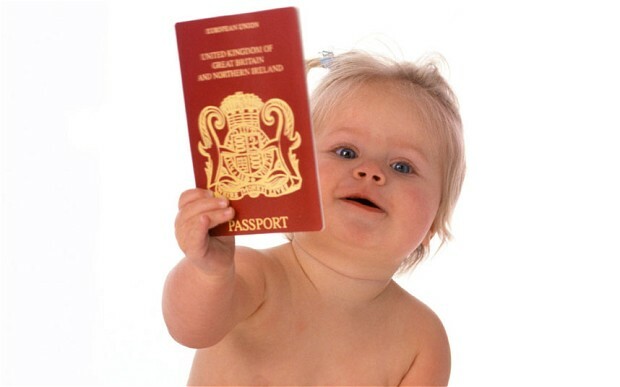 We can advise on the procedure involved in a child dependant visa application and the required supporting documents. We can assess the merits of any child dependant visa application. We can advise on the procedure involved for applications where children have two parents in two different locations. We can advise on the evidence required for an entry clearance application. We can advise on the merits of an appeal – should the application be refused and attract a right of appeal.